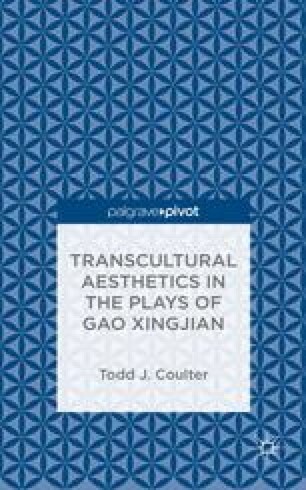 To give the reader a solid understanding of the aesthetics of jingju and how they relate to Gao’s own theories, this chapter goes into depth on how jingju operates in performance (based on my own experience as an audience member). Moving beyond the erroneous work of Brecht on Chinese performance, this chapter looks at deeper aesthetics than distancing or the spectacle of acrobatics. Careful not to overwhelm the reader with foreign vocabulary, this chapter looks at the emotional presentation of character in performance, goes on to the physical work of the actors, and concludes with a consideration that jingju demands an awareness of character and actor that may not be as foreign to Western audiences than expected.